Although they may look like just another brush, Desoto hairbrushes are specially designed to care for your hair extensions without damaging them. Sold in a range of shapes, Desoto brushes give you the versatility you need to style your hair just the way you want it. Simply put, they are the best brushes available for detangling and smoothing your hair extensions, helping you always look your best. 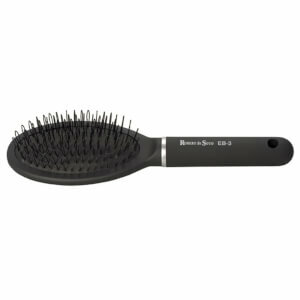 What makes Desoto hairbrushes special? Maintaining your hair extensions is vital to protecting your investment and prolonging their life, and using the correct styling tools and products will help achieve the greatest results. Desoto brushes are better for your extensions because they are created with loop pins: specifically designed to treat your hair and extensions gently and give them a much more sleek finish than a regular brush. Desoto brushes are so gentle and effective; they are also a great choice for those with thin or fine hair. When using a Desoto brush it is best to start from the bottom of your hair and gently work your way up. The innovative loop shaped bristle of the Desoto brush will glide smoothly through any type of extension without tugging or tangling. This will keep your hair and your extensions safe from any styling damage. Desoto also offers the Desoto Universal Diffuser. 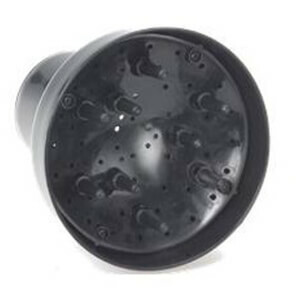 This diffuser will fit perfectly on the end of your hair dryer to help encourage soft, natural looking curls and waves. It diffuses the hot air to cover a greater area of your hair, gently delivering professional results that are safe for extensions. Shopping with RY you’ll find the selection of Desoto’s best brushes and accessories all at an affordable price. 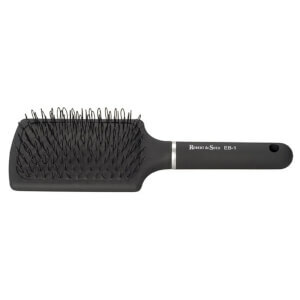 Protect your extensions and save your hairstyle with Desoto brushes.